Out with the cold, in with the new. Box up your winter wardrobe, store it away, and make room for bold colored clothes and light jackets. Don’t hesitate to add some bright umbrellas and rain boots with fun patterns. Not only are they functional, but they also look good by your front door. Trust us, you’ll be singing in the (spring) rain in no time. Spring-up your shopping list with items like fresh flowers, spring-scented candles, and air fresheners. Doing the dishes is a little more delightful with the sweet smell of honeysuckle wafting through the air. 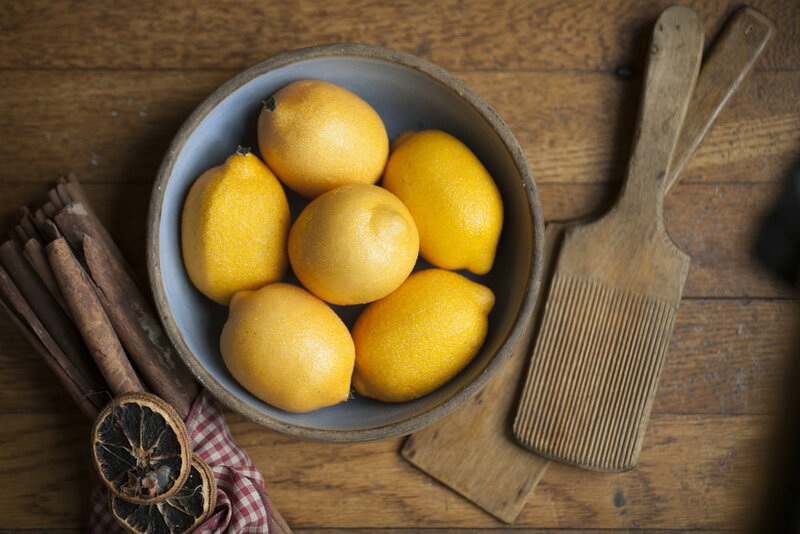 Also, pick up some lemons or oranges to display in a bowl on your kitchen table. They’ll be handy for garnish when you start making spring cocktails, too. A welcoming entryway is a perfect way to make your friends feel comfortable, and small touches go a long way here! You can switch out your old welcome mat with a warm weather print one. Think pastel colors and chirping little spring birds. Add hanging ferns or other easy-to-care-for plants…. just make sure you know how much sun they need. Your new entrance could be inviting enough to land the most welcome of visitors: girls selling cookies and all of their sugary goodness. No one should talk to you in the morning until you’ve had your coffee. Period. But rising and shining gets a little bit easier when you wake up to pops of color. You can brighten things up in small ways that make a big difference, like adding some orange throw pillows or yellow kitchen towels or a new vase in the kitchen. Switching out your lampshades to feature brighter colors. A lighter blanket and pillowcases in the bedroom or even a new rug with a fun spring pattern could do the trick. Because even if you’re not feeling like a ray of sunshine, your place still can.